Rapid Response for this driver who had put the Wrong fuel in their car at Bamber Bridge, Preston. The driver had been passed our details off their breakdown company when they themselves couldn’t attend! This customer had put 40 litres of petrol in their diesel Mazda 2 in Preston and drove around 6 miles before realising! She managed to get herself off the motorway and ground to a halt in this very dark industrial estate! She called her own breakdown company who advised her that they would get someone out to her within the hour and took full payment up front! However… two hours passed and they then called to say they didn’t have anyone available till 10am the following day!!! They advised her to call us for a faster response time… one of our SPA accredited technicians arrived within 55 minutes with a hot cup of tea and had the vehicle drained, flushed and running in just 20 minutes! If you’ve put the Wrong fuel in your car in or around Preston then NW Fuel Drain have a dedicated team waiting 24/7, 365 days a year. Being based in the North West we have a 1 hour response time across the North West & North Wales. Regardless of any wrong fuel situation, whether you’ve petrol in diesel car in Preston or diesel in Petrol car in Preston. We always aim to get our customers back on the road again and from as little as £145 we are one of the cheapest around. 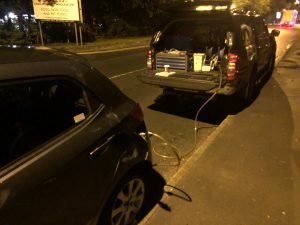 If you’ve put the the wrong fuel in your car, van, bike or boat in Preston make sure you call NW Fuel Drain on 07554851721 were one of the team will be more than happy to assist you 24/7/365.